The PREFACE management structure (below) pays particular attention to information flow, resource transfer, and decision-making. These are critical elements for a project of this complexity. 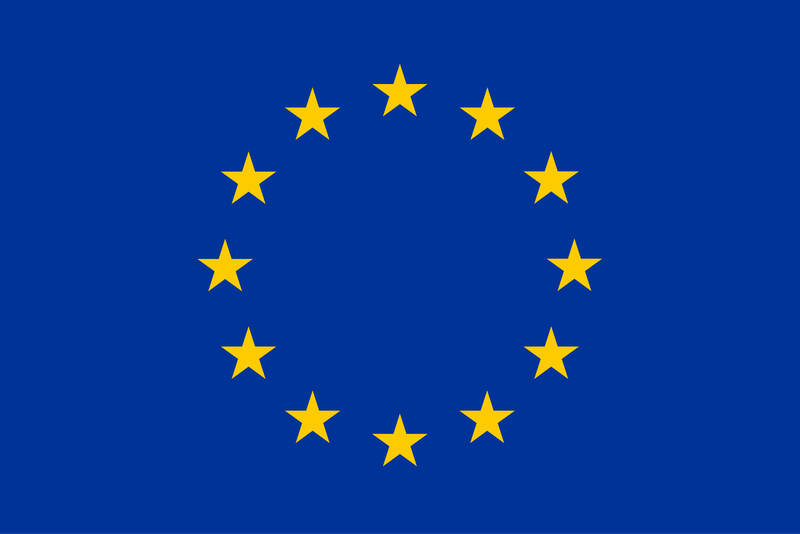 A simple as possible design is adopted to allow fast flow of information and resources between partners, project administration, the European Commission (EC), as well as information flow between PREFACE and the outside world. The Management Board (MB) is the overall decisive body of the Consortium and is the arbitration body for all decisions proposed by the Scientific Steering and Executive Board (SSEB). The MB shall meet annually during the project´s annual meetings and if needed, extraordinary meetings will be held. The MB is responsible for all major formal decisions regarding project strategy, amendments to the Description of Work, amendments to the Consortium Agreement, decision and allocation of the budget in accordance with the contract, and any change to the Consortium. Decisions in the MB need two-thirds (2/3) of the votes present at the meeting. Members: Each partner institution has appointed one senior representative, and his/her substitute, to attend the meetings, who are authorised to take decisions concerning the project on behalf of the institution. The SSEB implements decisions on executive management, prepares decisions to be approved by the MB, and ensures that adequate management is in place to monitor the science and perform quality control of deliverables. It advises on the overall scientific policy, direction and management of the project to be decided by the MB. The SSEB will meet regularly and also decide on smaller issues which occur on a day-to-day basis and which do not warrant the involvement of a larger group for practical reasons. Members: The project coordinator and the 4 research core theme leaders. The Project Office is organised at UiB (Bergen, Norway). It is responsible for the day-to-day management of the project and acts upon decisions taken by the SSEB and the MB. It is the interface between the EC and the PREFACE consortium. Who are we? 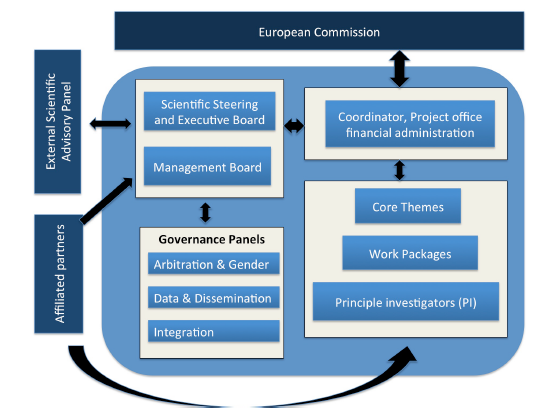 The main decision-making bodies of the project (MB and SSEB) are advised by the PREFACE External Scientific Advisory Panel, composed of internationally distinguished scientists to ensure external evaluation of the project and link to other programmes and activities inside and outside Europe, and a number of governance panels, which deal with gender and arbitration issues, data management within the project and dissemination to the outside world, and on integrating different elements of the project. These panels are designed to ensure smooth and effective internal running of the project and will report regularly to the MB and SSEB. Professor William Johns (University of Miami, USA), an observational oceanographer who has conducted numerous field programs studying the tropical Atlantic circulation and variability. He was one of the lead scientists who helped to develop the CLIVAR TACE (Tropical Atlantic Climate Experiment) programme. Dr. Johns served on the CLIVAR Atlantic Implementation panel from 2003-2009 and is presently the chair of the Science Steering Group for the U.S. Atlantic Meridional Overturning Circulation (U.S. AMOC) programme. Professor Carlos Roberto Mechoso (UCLA, USA), is an expert on climate simulation by general circulation models of the coupled atmosphere-ocean system. He chairs VOCALS, an international research program sponsored by WCRP/CLIVAR, which has focused on the climate system of the eastern tropical Pacific. He is also co-chair of a US CLIVAR group that aims to better understand the coupled atmosphere-ocean dynamics in the eastern part of the tropical oceans. Professor Ping Chang (TAMU, USA), is an expert on high-resolution regional climate modeling in the Tropical Atlantic sector, and on ocean-atmosphere interactions and predictable dynamics of the region. He is a current member of the International CLIVAR Atlantic Implementation Panel. He was a committee member of the U.S. CLIVAR/Atlantic Panel, U.S. CLIVAR Seasonal-to-Interannual Modeling and Prediction Panel, the Scientific Working Group for the Pilot Research Moored Array in the Tropical Atlantic (PIRATA). Professor Rashid Sumaila (UBC, Canada), is deeply interested in how economics, through integration with ecology and other disciplines, can be used to help ensure that environmental resources are sustainably managed for the benefit of all generations. Sumaila has authored over 130 journal articles, including appearances in Science, Nature and the Journal of Environmental Economics and Management. He has given talks at the UN, the White House, the U.S. Congress, the Canadian Parliament, the House of Lords, UK and the WTO. Concerning arbitration, this panel resolves conflicts occurring between partners of the consortium in relation to the project. It may for example become active in conflicts on authorship on publications resulting from the research in PREFACE. It will review the conflicts together with the involved partners and propose solutions. Concerning gender, this panel is responsible for PREFACE’s gender action plan and gives advice to the SSEB on its implementation. The members will make recommendations on relevant gender issues related to recruitment of PREFACE staff and monitor how special needs for female researchers are being taken into account in the various training and research activities. This panel will deal with all issues of data collection, data use and distribution. PREFACE makes use of historic data collected under the FAO EAF Nansen programme. The data belongs to those countries in whose EEZ it was collected. The panel is charged to ensure partners respect ownership of these data, while promoting its use in PREFACE. It will give advice to the SSEB about all aspects of intellectual property rights. This panel will also be charged with overseeing project dissemination. PREFACE has defined 3 integrating themes (1-Ocean processes; 2-Ocean-atmosphere-land interactions; 3-Predicting tropical Atlantic climate and its impacts) that tie work across the project and are key to reaching the projects objectives. The integration panel will monitor the project wide progress in these themes, and suggest methods to improve scientific integration and coordination across work packages (WPs) and CTs in these overarching themes. Additionally, this panel will assist the consortium to work towards the best possible integration of partners in PREFACE. Typical tasks could include capacity development where it is needed, and assistance with administrative procedures to newcomers in this type of grant system.